In my life, one of the most rewarding things is creating my artwork. It's hard work, but I love it. 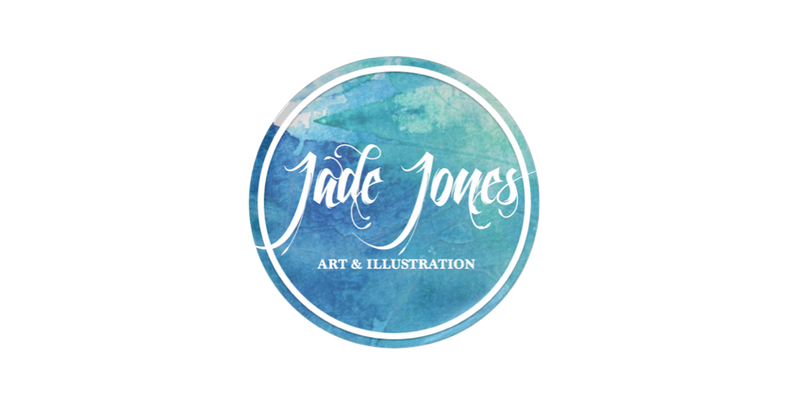 This week has been amazing because I've had the time to focus all my efforts into my artwork and business, and I've had that buzz that has been missing for a while. I know that this is what I want to do with the rest of my life, in some way, shape or form. Tuesday of this week was the launch of my online Etsy store! 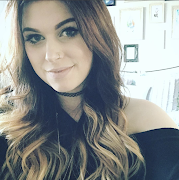 It was such an exciting day for me, as this is something that I've been wanting to do for a long time but just haven't had the time or the confidence to do it. I've had some lovely messages on Facebook from people and it's really boosted my confidence in myself and my work, I feel like I can actually do this. Seeing my store live is quite a proud feeling, my hard work may finally be paying off. There's so much more I want to do, but again it's all about time and confidence. Eventually, I would love to start making YouTube videos, showing the creation of my work and just a bit of me but I don't think I'm quite ready to put myself in front of a camera right now. Hopefully it will be someday soon though, it's something I've been wanting to do for so long. Most of this week was taken up with getting ready for the event. Making all the posters and information for the table, doing stock takes and trying to figure out how to assemble my new display rack, which took much longer that it should have. I was involved in the event through the academy, and I really enjoyed the whole setting up my stall and talking to the people who came over to see my work. It's really got me thinking more about attending conventions. Sadly, the one I want to attend isn't until February next year, so I'm going to book that early and look for some more to go to in the mean time. I just can't wait to go and meet fellow artists and people who are interested in all the same stuff as myself. Every time I go to a convention I always come away feeling so inspired and eager to create. Oh, and I usually leave with an empty purse too. So, I'd absolutely love to have my own stall at one instead of just going there to spend what little money I have. This week I've also completed my portrait of Sylar. I've really enjoyed working on this piece, although it was a challenge. As I said before, I've never drawn a man with stubble and to add to that I've never drawn the workings of a watch before either! So, all in all, I'm pleased with my first attempt at them both. I wanted to include the watch cogs to represent Sylar's past and also his power, knowing how people work and what makes them 'tick', so to speak. I also titled the piece 'The Watchmaker's Son' due to it being quite an insignificant role for such a significant character in the series. I've also finally got around to completing the background for 'Miss Croft' my piece depicting Lara from the video game 'Tomb Raider'. 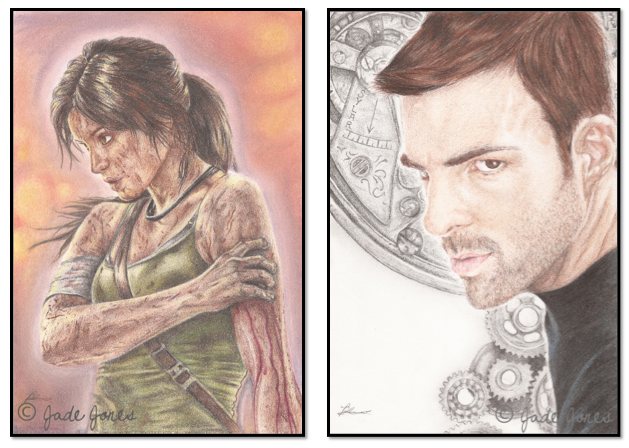 So, I'll have some prints up in the store of both 'The Watchmaker's Son' and 'Miss Croft' soon. Apart from all things art, this week was my last official week at the Academy. Yay! All the assignments are completed and signed, I never have to look at them again. It felt like a weight had been lifted off my shoulders as I walked out of the building. Don't get me wrong, I've had some good times and laughs there, but towards the end it was just another source of stress in my life. I'm proud of myself for making it through to the end with all my hair in tact, I would have thought that I'd have ripped it all out by now. Although the assignments and work is done, I do have to go to an awards ceremony next Wednesday, which will be interesting. I'll have my grade for the year and any other awards they've decided to give me. I have no idea what to expect to be honest... All I know is I'll walk out there with a smile on my face knowing that it's all over and I can concentrate on the things that matter most to me.